Samford is a town in Moreton Bay Region, South East Queensland, Australia. It consists of two localities, Samford Village (population 749) and Samford Valley. Samford is a hilly area, roughly 21 kilometres (13 mi) north west of Brisbane. Access to Samford from Brisbane is via Samford Road through the Samford State Forest and takes about 10 minutes from Ferny Grove. Samford is located adjacent to the Samford State Forest section of Brisbane Forest Park. Brisbane Forest Park comprises more than 26,500 ha enclosing 16 separate recreation areas. The wide variety of habitat provides a sanctuary for a broad range of native wildlife. Samford Valley is known as the "Home of the Powerful Owl", as the area is known to be an important breeding area for the bird, Australia's largest owl. Parts of D'Aguilar Range, which includes nearby Camp Mountain, Mount Nebo, Mount Glorious and Mount Pleasant, give rise to the valley in which Samford lies. Samford was occupied by the indigenous people who named it Kupidabin, an Aboriginal word from the Waka language, meaning 'place of possums'. They named D.L. Brown's land in Samford, Karandukamari. Samford was an important location for "kippa-ring" or initiation ceremony. Tribes from Ipswich, Cressbrook, Mount Brisbane and Brisbane would travel here to have their "kippas" (young men) initiated. Samford's very first inhabitants were an aboriginal tribe which belonged to the Waka language group, whose territory also included the upper Brisbane River and the South Burnett. While there are no aboriginal tribes still living in Samford, their history remains by means of the Bora Ring at Wights Mountain, the burial site near Upper Camp Mountain Road and the records kept at the local historical museum. Although Samford is closer to Brisbane than most acreage areas in the Moreton Bay Regional Council, the secluded valleys of the upper reaches of the South Pine River were not settled by Europeans until the mid-1850s. The first land auctions were held on 1 February 1855. After the subdivision of farms into acreage homesites commenced in the 1960s, with substantial upgrading of road access completed more recently, many of Samford's residents commute to work in Brisbane. 1920s view of Camp Mountain south west from Main Street. Note former rail crossing and railway station. Buildings began to appear in Samford Village's Main Street in 1916. The first business to open in the Samford area was a shop and bakehouse which was owned and built by Alex Lawson. In 1919, the O'Hara's Hotel (the Samford Hotel) shifted to its current location. The location from which the hotel previously operated was purchased and used by the CSIRO. In the late 1950s, this hotel again changed its name from the Samford Railway Hotel to the Golden Valley Hotel. By 1908, banana growing on the steep ridges at the foot of the ranges had become one of the most important industries in the Samford district. After World War 1, the government created additional small farms so that returned servicemen with limited capital were able to get started in the industry. During 1926 and 1927, more bananas were consigned to southern markets from Samford Railway Station than any other railway station in Queensland. However this success was short-lived. The banana bunchy top virus which had wiped out banana growing in the Northern Rivers region of New South Wales, spread to Samford and was the primary reason for the decline of the industry in the Pine Rivers Shire. In 2008, Samford became part of the Moreton Bay Region. Samford Village contains a mix of historical buildings, restaurants, shops and services. Samford's heritage as a village servicing farming communities is apparent from the facilities which include an equipment hire business, hardware and produce stores, as well as banking, shopping, medical, chiropractic, fitness, legal and accounting. A tourist attraction is the Samford Valley Historical Museum. Located in the heart of the village, John Scott Park is the frequent venue of community cultural activities such as free concerts and holiday celebrations. The park contains playground facilities for children and is a popular venue for weekend barbecues. The Slab Hut Gallery is an information centre and art gallery located in John Scott Park at the centre of town. There are several gift shops, restaurants and cafes, as well as a pub, in the immediate vicinity of John Scott Park. In addition to the Samford Scout Group, the Scout Association of Queensland operates Baden Powell Park. An easy walk from the Village, Baden Powell Park consists of 56 hectares of natural bush land bordering the Brisbane Forest Park. Within the grounds are modern, fully equipped conference facilities for up to 150 people, a commercial kitchen, accommodation blocks, camping ground, swimming pool, dam, abseiling tower as well as walking trails of various grades. Baden Powell Park is the venue for a number of activities open to the public such as laser skirmish and abseiling. The Baden-Powell Heritage Centre & Museum is open to scouting groups and to the general public on weekends. The Moreton Bay Regional Council operates a mobile library service which visits John Scott Park on Station Street. The Samford branch of the Queensland Country Women's Association meets at the QCWA Hall at 31 Main Street, Samford Village. Some of the local sports played in and around town include swimming, horse riding, soccer, football, cricket, netball, tennis, archery and lawn bowls. The Pine Rivers Shire Council, now known as the Moreton Bay Regional Council, acquired the former CSIRO land which is on the northern edge of the Village and comprises some 140 ha. The Council is planning a sport and recreation facility that will become a major resource for the residents of Samford Valley and the Moreton Bay region. The possible facilities include open space, camp ground, equestrian, tennis, netball, amphitheatre, kiosk, soccer and rugby league and parking. The area is very popular with cyclists and the area saw an explosion of local coffee shops between 2010 and 2015. The two local primary schools are Samford State School and Samford Valley Steiner School. Samford Valley Steiner School became a high school in 2006. Close by is another small primary school, Mt Samson State School, which is described as a 'school without a town' due to the fact that it serves residents of nearby areas but indeed has no township. It is located at Mt Samson, approximately 10 minutes from Samford. A nearby government high school is Ferny Grove State High school which is located approximately 11 minutes away at nearby Ferny Grove. Several private schools maintain buses to Samford, including St Paul's School, Bald Hills, Padua College and St. Joseph's Nudgee College at Boondall. Samford has a sub-tropical climate with very hot, humid summers and mild, dry, sunny winters. Most rain falls during the height of summer, between November and February. Whilst summer maximum average temperatures generally linger around 30C, the summer months have some extremely hot days, sometimes higher than 40C. ^ "Samford - town in Moreton Bay Region (entry 29544)". Queensland Place Names. Queensland Government. Retrieved 28 October 2017. ^ "Samford Village - locality in Moreton Bay Region (entry 45469)". Queensland Place Names. Queensland Government. Retrieved 28 October 2017. ^ "Samford Valley - locality in Moreton Bay Region (entry 45468)". Queensland Place Names. Queensland Government. Retrieved 28 October 2017. ^ a b Horton, Helen (1988). Brisbane's Back Door: The story of the D'Aguilar Range. Bowen Hills, Queensland: Boolarong Publications. pp. 22, 26. ISBN 0-86439-036-X. ^ Tom Petrie's Reminiscences of Early Queensland. St Lucia, Queensland: University of Queensland Press. 1992. p. 55. ISBN 0702223832. ^ "History of Samford". Moreton Bay Region Industry & Tourism. Archived from the original on 8 April 2019. Retrieved 8 April 2019. 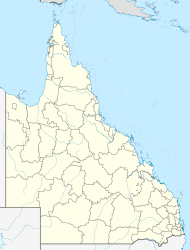 Wikimedia Commons has media related to Samford, Queensland. Wikivoyage has a travel guide for Samford valley.